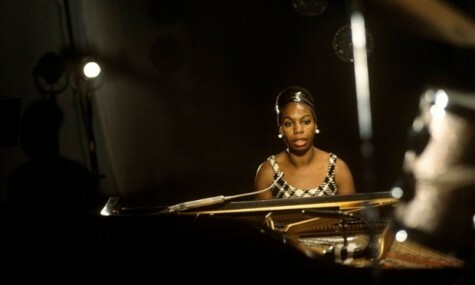 The tremendous power of Nina Simone’s music has entranced the likes of Kanye West, Antony, Laura Mvula and Lauryn Hill. In 2008, President Obama named her version of “Sinnerman” as one of his 10 favorite songs. She sang in an almost androgynous baritone that she said ranged from “gravel” to “coffee and cream,” played piano like a virtuoso and interpreted material with power and imagination. When she covered a song it stayed covered, although it’s ironic that her career was revived in 1987 thanks to a perfume commercial that featured 1958’s “My Baby Just Cares for Me” because that perky jazz standard told listeners nothing about who she really was. A new Netflix documentary, “What Happened, Miss Simone?” looks at the life and career. The Name Of The Moment Is Simone! Why Does Rufus Do Judy Garland?